He studied in the icon workshop of the Trinity-Sergius Lavra. He continued his education at the Academy of Arts under the guidance of A. Antropov and D. Levitsky. 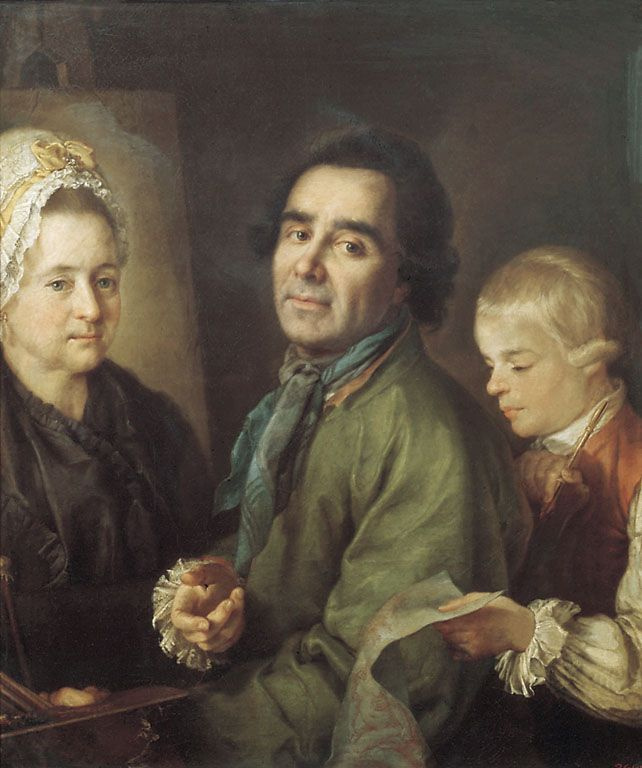 In 1776 becomes "assigned" to an academician for the portrait of his teacher, "portrait of the painter A. P. Antropov with his son in front of the portrait of the wife" (1776, RM). The title of academician receives a formal portrait of Baron P. F. Baltica (1785, RM), Director of the Academy of arts. Wrote extensively on religious subjects for the Trinity Cathedral of the Alexander Nevsky monastery, including icons. Copied paintings by Guido Reni, J. Amigoni, P. Tests. About Pyotr Semyonovich Dragline, artist of extraordinary talents, very little is known. His work is associated with St. Petersburg, the Metropolitan school. He hails from Tver. In his early years was engaged in icon painting workshop Trinity-Sergius Lavra, then spent many years in apprenticeship at A. P. Antropov in St. Petersburg. Later he studied with D. G. Levitsky, the famous Russian portraitist of the second half of the XVIII century. In any form of human activity (and painting is no exception) in addition to the obvious leaders have many masters, skillfully performing his job. They present a General assessment of the status of the activity. The heyday of Russian portrait art in painting in the second half of the eighteenth century connected with the fact that along with the luminaries of this pictorial genre (I. Argunov, Fyodor Rokotov, D. Levitsky, V. Borovikovsky and others) did dozens of other portraitists, reaching in some of its works, the skill of the leaders. This portrait was Peter Semenovich Drozhdin, began his career in art in the icon workshop of the Trinity-Sergius Lavra and continuing their education at the Academy of arts under the guidance of the famous Andropov and D. A. Levitsky. 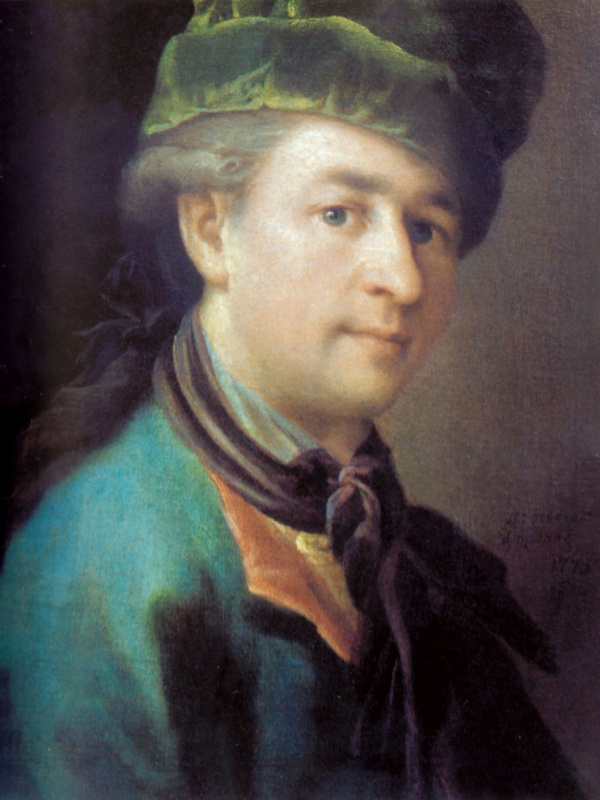 The portraits of P. Drozdina quickly find a official recognition it is getting in 1785, an academician. 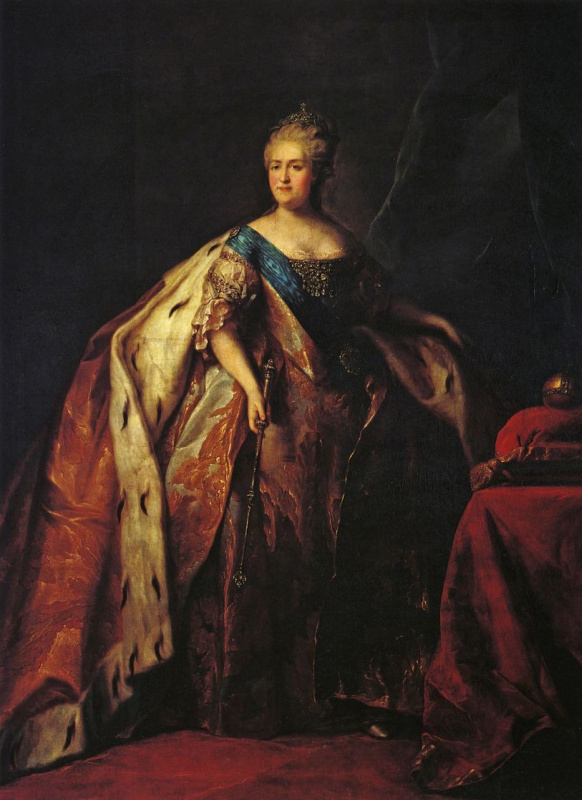 Receives orders for portraits and copies of Russia’s rulers and their entourage. This practice was normal for those times phenomenon. The high skill of the PS Drozdina evidenced by his numerous portraits presented in our time, in many museums (Russian Museum, Tretyakov gallery, museums of Tver, Yaroslavl, etc.). The talent of the artist which is in them, is undeniable. 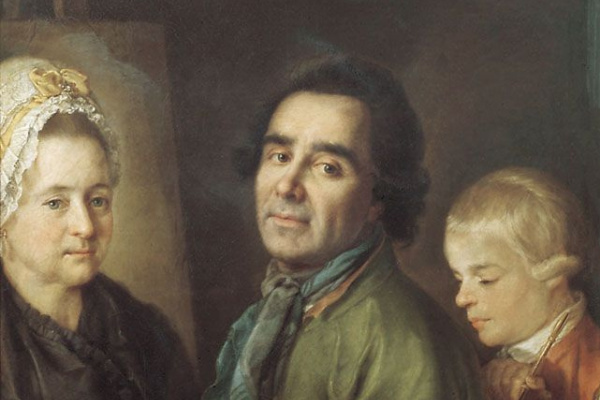 The most famous work in PS Drozdina — "portrait of the painter A. P. Antropov with his son in front of the portrait of the wife" (1776, RM),. For this portrait he was recognized as "designated" in academics. In 1785 for a formal portrait of Baron P. F. Baltica (1785, RM), Director of the Academy of arts, awarded the title of academician. 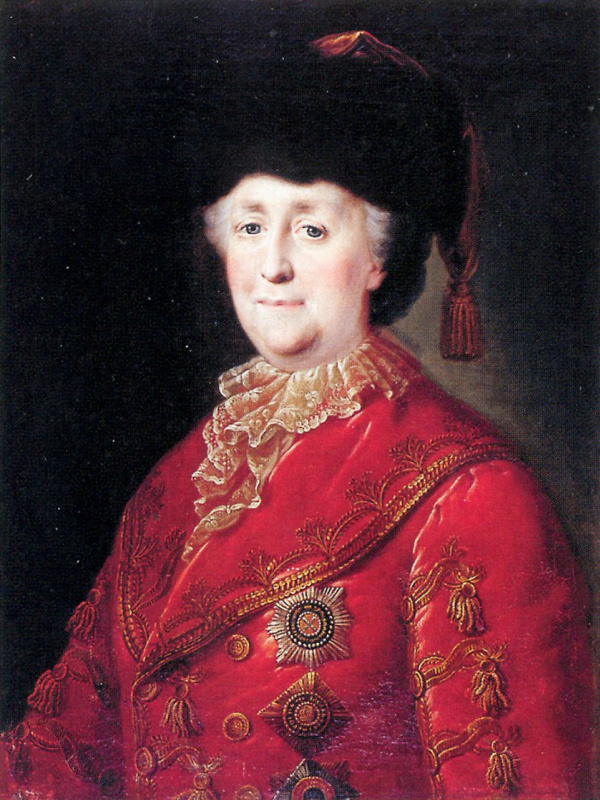 The master worked not only in the genre of the great ceremonial portrait ("the Empress Catherine II, 1796, TG), but also in the genre of the small chamber portrait. The latter include the portrait of a widow in the headdress (1796. 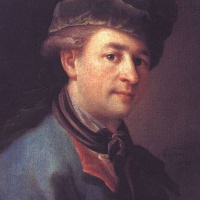 Tver picture gallery) and one of his best works is a portrait of a boy (1776, Yaroslavl art Museum). PS grodin wrote a lot of paintings on religious subjects for the Trinity Cathedral of the Alexander Nevsky Lavra. He wrote icons. Copied paintings by Guido Reni, J. Amigoni, P. Tests. For example, a known copy (1794, RM) PS Drozdina with a picture of PS Tests "Introduction Marie in the temple" in the Hermitage collection.